Travel inspiration, destination guides, hotel reviews and more - we've got it all. Sign up for our newsletter. Are you looking for an exotic getaway from Singapore, but want to avoid the cold snaps breaking out around the world? Choosing one of these 5 snow-free escapades will keep you busy with a variety of activities and indulgences at your fingertips. These are perfect when the ski lodge isn’t for you and you want to create memories a little closer to home. For visitors to the Little Red Dot, Singapore serves as a great base for leapfrogging between most of East and Southeast Asia’s choice destinations. The Telunas Private Island and Telunas Beach Resort are two resorts located on small islands just south of Singapore. Both are located on the Riau Islands of Indonesia – a short flight from Singapore – and feature stunning overwater resort experiences. They are sheer paradise with private beaches, unprecedented views, and one of a kind activities available. Each resort features 14 and 15 private villas respectively, which means you’ll largely have the island to yourself for scuba diving, fishing, and unique dining experiences on the beach. Book early because these resorts fill up quickly due to their location in paradise and few available rooms. If you haven’t already indulged in this rite of passage, it’s high time to. Sentosa, after all, qualifies as a island getaway. For good reason, RWS has been dubbed “Asia’s premium lifestyle destination resort” and the island is home to some of the most vaunted attractions including Universal Studios Singapore, SEA Aquarium, Dolphin Island, The Maritime Experiential Museum, and Adventure Cove Waterpark. RWS offers discounts and transportation to most of these top attractions as part of its world-class hospitality programme. On-site, you’ll find a casino and the Asian flagship location for the famous destination spa. There are also celebrity chef restaurants to feast at. RWS is at the heart of Sentosa’s entertainment capital, with special resident productions like Crane Dance and Lake of Dreams attracting locals and travelers from around the world. RWS itself encompasses six distinct hotels on the island. 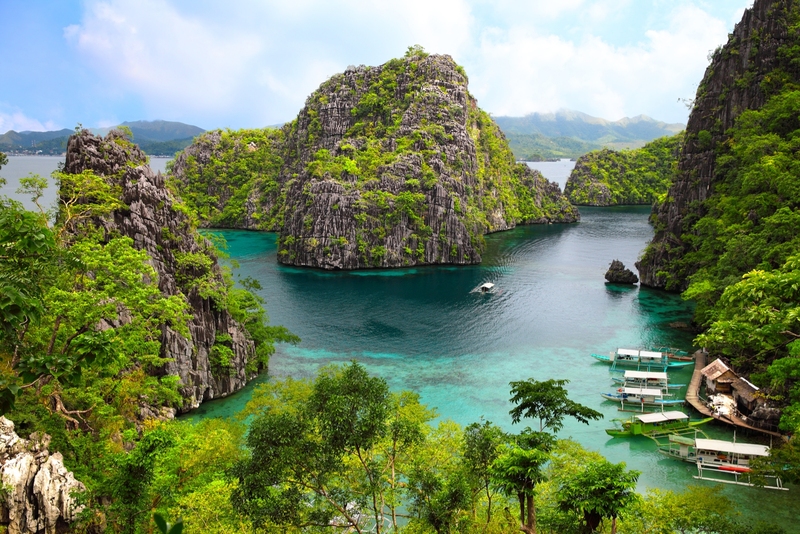 If the idea of a romantic vacation on a private island sounds good to you, spend some time at this Philippines resort. You’ll get much needed isolation from the hubbub with your own private villa. Amanpulo defines off-the-grid luxury with endless sea views and beautifully appointed villas. Your stay includes a personal butler and private plunge pools. Visitors who upgrade their rooms can even get a personal chef. Enjoy jungle trekking, snorkeling, diving, turtle watching, and tennis during your stay. But before you book, you should know that only way to get to Amanpulo is through a private chartered plane. The Nihi Sumba Resort’s vision is “returning to a life well-lived,” and that’s exactly how you’ll feel when you step foot onto these grounds. Nestled in the heart of a natural paradise, this is the only resort on the entire island, so you can be assured privacy during your stay. Lounge at the beach, enjoy mountain views, go horseback riding along the coast or enjoy some relaxing time at the spa. Nestled off the coast of El Nido in Palawan, Philippines, this private island resort delivers a luxurious experience. Stay at one of the private villas, decked out with king-sized beds and rain showers, scattered around the lagoon and along the beach. Cauayan Island Resort sits within a tropical jungle that remains very much untouched, so expect to get up close and personal with birds, insects, and other unexpected animal encounters. While you’re here, take advantage of the resort’s island-hopping outings along scenic Bacuit Bay. Trevor McDonald is a freelance writer and a self-proclaimed travelholic. He enjoys traveling to parts unknown, sampling local cuisine, and sharing his experiences with the world. In his free time, you can find him planning his next trip or outside enjoying about any type of fitness activity imaginable.